Appt typical mountain very warm, with exceptional views of the valley and the mountains. The living room is south facing and very comfortable, waisted with a large balcony. Three bedrooms, 1 with a 140 bed the other two with bunk beds. The chalet is on the slopes (100m from the chairlift 6 places birches which serves the entire resort). chalet at the foot of the new 100m track chairlifts 6 places birches making the connection between Saint Lary and Espiaube pla d'adet. Possibility of access to shops and ski school by bus. Access spa and Saint Lary town by gondola or cable car. Golf: Golf 18 Holes LANNEMEZAN 50 km. Open depending on weather conditions. 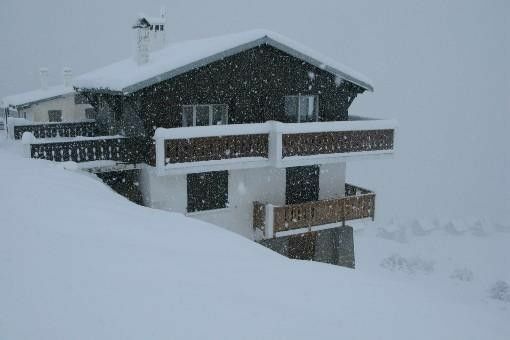 Ski: The cottage is located on the slopes to100 meters from the ski lifts.